Gordon Murray, the designer of one of the most iconic road cars, well, ever, has his own vehicle production company now—Gordon Murray Automotive, which launched in October. 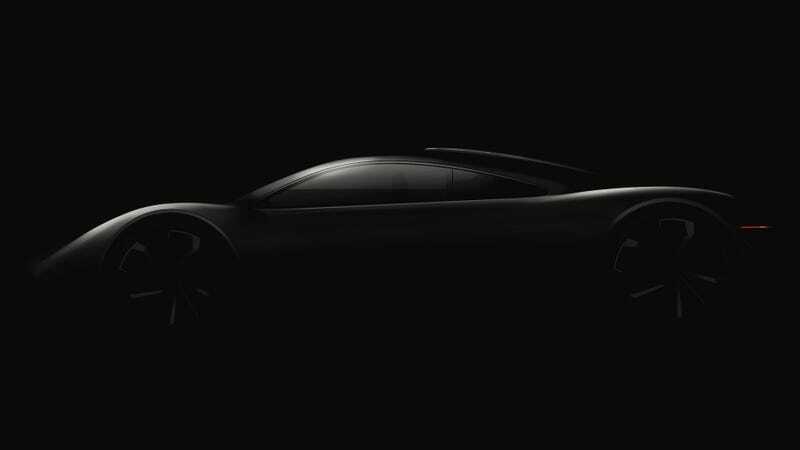 With car companies come cars, and Murray’s first will be a one that’s “inspired by the engineering principles” of the McLaren F1. Top Gear reports that the car won’t be a hybrid, and that Murray hopes it won’t have turbochargers. Murray said it’ll be less powerful than the 500-HP TVR Griffith he recently designed, and that it’ll be smaller and “more pure.” Murray told Top Gear he’s “relaxed on timing” for getting the car done, and that serious development will start in the spring. It seems like the car will be different, which is always refreshing—there’s little reasoning for high-horsepower Bugattis and Ferraris on public roads other than bragging rights on Instagram, and Murray had a point when he said he wants to get back to real driving. Driving certainly isn’t how many followers you can get by bragging about your 1,500-HP Chiron. That’s a little overboard. We’ll clap for you if we don’t have to hear that line again, Murray. We just want to see the car.